Anyone who reads Western media coverage of Russia’s intervention in Syria will notice that a note of bafflement has crept in. How can Russia, the country "that doesn't produce anything", whose economy is supposedly smaller than Britain's or even Spain's, and which is said to be economically on the ropes, able to conduct an air campaign in Syria? The short — and obvious — answer is that Russia's economy is much bigger than Western political leaders and commentators imagine. 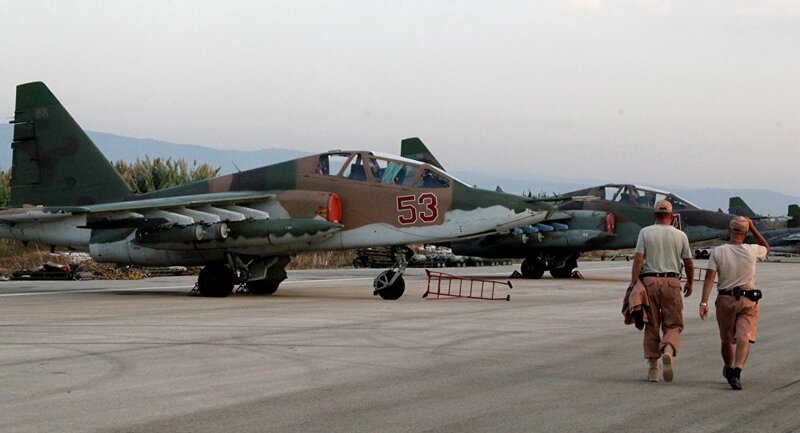 Not only would Britain or Spain be unable to mount the sort of air campaign the Russians are waging in Syria. They cannot run a huge space programme, develop rockets like the Angara rockets, build a space centre like Vostochny, develop the Arctic, construct nuclear powered ice breakers, or feed themselves. Nor can they build a bridge as rapidly as the one the Russians are building to Crimea. Nor can they create alternatives to Google like Yandex, or alternatives to GPS like GLONASS, or alternatives to SWIFT like the Russians have done in just a few months. In military production, any idea any European state can simultaneously develop fifth generation fighters like the SU T50, tanks like the Armata, submarines like the Yasen and the Borei, or missiles like the Bulava and the Yars, is sheer fantasy. Russia does all these things, and much else. It does them without strain. In the middle of a recession Russia's budget deficit is 3% of GDP — less than Britain's or Spain's; and roughly the same as the US. Its balance of trade is in surplus. So far from being financially exhausted, Russia has far lower levels of debt than any Western state. Are the Russian people accepting lower living standards to pay for these things? Hardly! Until this year living standards grew in Russia every year since 1998. This year's fall in living standards is a one-off caused by the inflation that resulted from last year's devaluation of the rouble. It has now run its course. Based on my own necessarily subjective impressions, living standards in much of Russia, especially in Moscow, now compare favourably with the best in Europe. What of the claim Russia can only do these things because of money it gets from energy sales? Not only is this wildly exaggerated — the energy industry accounts for just 16% of Russia's GDP — but it treats the energy industry as if it was not a resource, which is absurd. Besides, saying this ignores the fact Russia is doing — not importing — the things it is doing. Most people accept the conventional measure of Russia's GDP based on US dollars is wrong. The IMF and the World Bank prefer to estimate Russia's GDP on the basis of purchasing power parity. On that basis Russia has the world's fifth biggest economy, roughly the size of Germany's. Even that estimate in my opinion is wrong. It is not that the statistics are wrong. It is that what is being compared are sets of statistics rather than two totally different economies. I know Germany well. I can confidently say that Russia's economy operates on a far bigger scale. It is physically impossible for Germany to do many of the things Russia does without effort. Conversely there is nothing Germany does that Russia cannot do if it commits itself to doing it. The only economies that can match or surpass Russia's in technology and depth of resources — and can do all the things Russia does — are those of China and the US. India, Germany and Japan can also do some of the things Russia does, but not all of them. No other states come close.